One of our customers dropped them off this afternoon. Any ideas about what we should do with them? 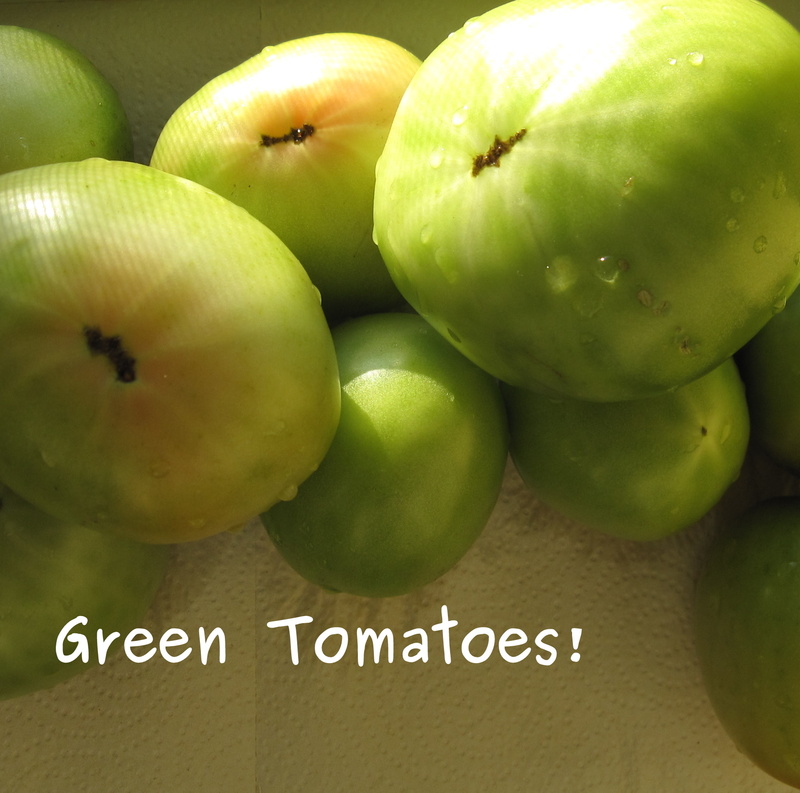 In college I made a sweet green tomato bread and of course, there’s always Fried Green Tomatoes.